Color design choices are very important in web design. Your content can be the best in the world but the first thing your visitors see is your website’s outlook. And if it’s not pleasant and visually appealing, chances are they aren’t going to delve into your resource any deeper and just leave. One way to make sure that doesn’t happen is choosing the proper color palette for your site. It has to work together with your content. So, let’s imagine you have a yachting website. The natural color choices would be in the blue specter because that’s just logical, right? Another thing is that you don’t want your coloring to be extreme. That’s why a lot of popular websites have really soft colors that don’t tire out their reader’s eyes. They look good on lots of templates as well, regardless of the content they have to show so that is a very smart design choice. Therefore, that’s exactly what we have for you today! 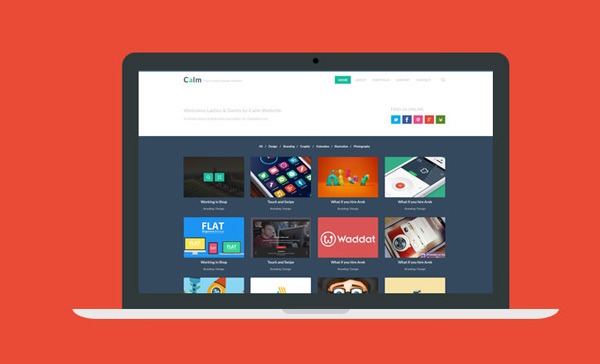 30 Premium Templates with soft colors and clean designs. All those themes have been built for different software, designed for different businesses and serve different purposes. Hence, no matter what website you plan on starting up, there’s a high probability you’ll find something suitable for you in this very article. All of the templates in today’s list have been provided by TemplateMonster, one of the biggest companies to get ready-made website designs from. Thus, if you don’t find anything you like in this post, be sure to check them out and you’ll surely find something interesting among thousands and thousands of their products. And if you feel like you need to sharpen up your developer skills, those guys will help you out too as they run different courses for those who wish to learn. They also have a thing called the Service Center. If you are not a coder and don’t really want to get into all the intricacies of working with a template or simply do not have any time for it, hit them up! They will do all the coding for you and get your website ready to run in no time. Consequently, why would you purchase a premium template anyway? Well, you want your website ready quickly, don’t you? And naturally, getting a professionally crafted, fully functional theme right out of the box is much faster than building one from scratch. There do exist free templates, sure, but when you use those, you’re on your own. You don’t get 24/7 professional support as you do when you use a paid one. But let’s move on to the templates now. We promised a spa relaxation session for your eyes at the beginning of this intro and it's high time to claim for it. Check out the templates created in soft pastel colors and be sure to leave any feedback you have in the comment section down below. Tell us which ones you liked, which ones you didn’t and why. Also, we would love to know if you wish to purchase one of them or if you have already. Have a nice day, don't strain your eyes and feel free to download a bonus e-Book featured at the end of this showcase! This template is extremely easy to customize thanks to the drag & drop interface of the Power builder. It also comes with a pack of the best Cherry plugins, which will enhance your websites usability by a ton. 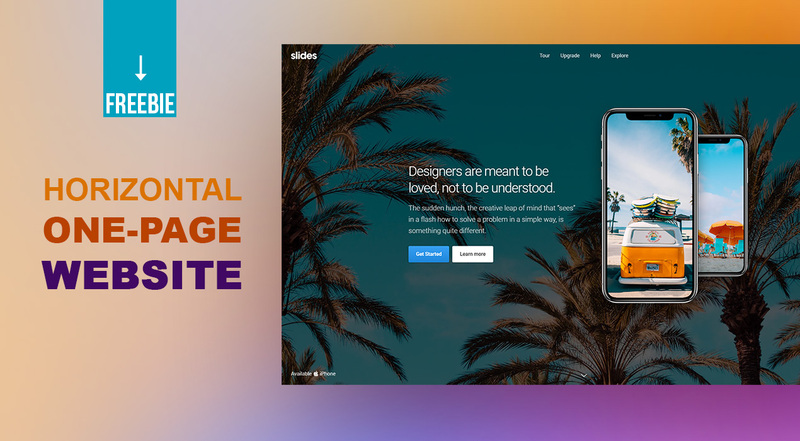 It is fully responsive, well-documented and includes custom widgets like Simple Slider, Post Carousel, social media widgets and others. This template was built with its main focus on the visual aspect with beautiful animations. Its customization is very simple thanks to lots of pre-designed pages and layout variations as well as a built-in live customizer. The theme is also Ecwid ready, so you will be able to start selling your products and services in a very short time. Coming with a WooCommerce package, this template is a perfect choice for an online beauty store. Its visuals are very appealing and harmonize with pictures of your products well. It is also fully responsive, SEO optimized, has lots of different layouts options and a live customizer. This template is perfect not just for a wedding photography agency but also for any sort of photography-oriented websites. Its design is very clean and there is very little text as it is would draw attention away from the pictures. The theme also comes with immensely good plugins such as Visual Composer along with a bunch of addons for it and Revolution Slider. A great template for an online flower store with a beautiful clean design and good store functionality. You will be able to showcase all your items in a visually appealing way using the MotoPress Slider. It is fully responsive, SEO friendly, integrated with Google Fonts and features Product Quick View and Ajax products filter. This multipurpose theme has nine multi-page as well as nine one-page layout variants that will fit a wide variety of businesses. Its clean and creative design comes with all the features of a modern website. It has over 60 different pre-made pages and features a working Ajax contact form. If you're a psychiatrist and run a therapy center, this is the template just for you. It features TM gallery and Cherry Framework 5 which enables you to showcase your therapies and your customer's reviews of them. It also has Appointment Booking, which will let your clients request a consultation right from your webpage. This template was designed for online stores with large inventories and lots of different product types. The bundle includes a huge amount of plugins which will save you $567 in total! Those include TM Mega Layout, TM Mega Menu, TM Newsletter, TM Google Map, TM Header Account, TM Media Parallax, TM Related Productsm TM Social Login and many, many others. This PrestaShop 1.7 theme features a clean and moder design with extensive functionality that meets all of today's requirements. It is fully responsve and Retina ready, which ensures that your website will look perfect on absolutely any device. It also comes with multilingual and multi-currency support, which will make your shop accesible to anyone, regardless of the language they speak, the money they use or the device they have. This template will ensure that your works are displayed professionally and perfectly. It features a fullscreen layout, which is the best way to showcase photos and artworks without any text getting in the way. The theme also comes with different galleries and portfolios, so you are free to choose whichever one you like the most. This outstanding template is ready for absolutely any sort of website and is equipped with all the necessary plugins you might need. It is extremely easy to install (choose skins and import demo data) thanks to a very user-friendly installation wizard. It also comes with the Power Builder plugin that will help you create unique and versatile page layouts in a simple drag & drop interface. This template has a gorgeous clean and attractive design perfect for a site dedicated to makeup services. It features parallax effect, which will make interaction with your website a much more engaging experience. It also offers an eCommerce page template, a Megafooter, a Contact Form and a Newsletter Subscription Form. This template is equipped with exclusive TM modules and has 3 different homepage layouts as well as four color schemes. It has an intuitive search bar, which will allow your customers find the desired pages and items quickly. it also comes with Ajax Cart, categories accordion, sorting options, TM Header Account, Ajax Wishlist, multilingual & multicurrency support as well as many other great features. If you wish to create an online portfolio of your works, this theme would be a perfect choice thanks to its fullscreen picture-oriented design. It is responsive and Retina ready, so all your works will be displayed in a pixel-perfect fashion. It also features different galleries and portfolio layouts as well as a collection of Google fonts and FontAwesome icons. 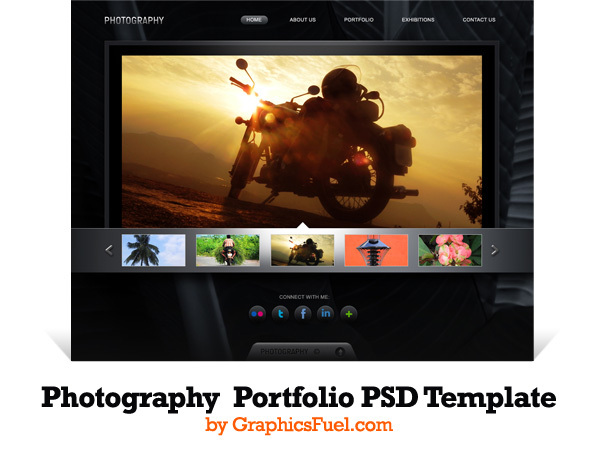 This high-quality template boasts a clean and straightforward design as well as a variety of premium features, editing tools and UI elements. Thanks to the TM Mega Menu module you will be able to create menus with lots of categories easily. It also comes with the TM LookBook module which will allow you to combine products into lookbooks and increase impulse purchase rates, which is a great thing for any shop owner. This clean modern theme is fully responsive and will look great on all devices. It comes with eight color schemes and a number of premium modules which will make your website stand up to today's standards. Those include the TM Search Module, TM Collections Module, TM Mega Layout, TM Products Slider, TM Infinite Scroll, TM One-Click Order and many others. This template has everything a professional online store website needs: advanced architecture, outstanding functionality and pixel perfect design. It comes with 6 different layouts for various types of products - fashion, power tools etc. It also features the TM Product Manager, TM MegaMenu, TM Search, TM Deal of the Day, TM Mega Layout, eight color schemes, blog, detailed documentation, RTL support and more. This fully responsive theme fits the niche of store and supermarket websites. Its main features are TM Collections, TM Mega Menu, TM Mega Layout, TM Products Slider, TM Product Zoomer and other plugins that will make shopping on your website simple and enjoyable. The theme also has four different readymade layouts. This simple modern theme is perfectly suitable for any sort of a blogging website. It uses the WordPress Customizer, which will make customization seamless and quick. It is fully responsive, SEO optimized and comes with different blog and post layouts. This template has everything you will ever need for advertising your interior design and furniture online store. The TM Mega Layout module will let you adjust each page, switch between layouts or create your own ones easily. The theme also features TM Mosaic Products which will enable you to showcase your products in a beautiful mosaic style. This template comes with a variety of versatile ready made HTML pages that will make its customization pretty simple. There are also multiple blog layouts as well as a large number of header and footer styles. The template's code is well commented and SEO friendly, which makes sure your customers will be able to find your website easily. This PrestaShop template is perfect for setting up an online clothes store as its design is trendy and will display your goods in a fashionable way. It is fully responsive and Retina ready, which makes it accessible to users with any sort of devices. It also features the TM Header Account Block, TM Ajax Search, TM Category Products and other plugins that will enhance your shop's look and feel. This theme's bold and colorful design is perfect for stores that sell out-of-the-ordinary products. It includes a MegaMenu with lots of categories which is informative yet easy to navigate. All the sliders, banners and featured products are enhanced with interesting animation effects and Ajax search along with product badges that will ensure your customers' pleasant shopping experience. If you own an agricultural farm and want to start up a website for it, this template is just what you need. Having a large number of ready made HTML pages it allows for good customization. A rich UI kit with tabs accordions, progress bars and other elements will let you add multiple types of content that you wish to showcase. It also features multiple blog layouts, multiple header and footer styles as well as a cool photo gallery. Perfectly designed for a cologne, perfume or a beauty products store, this template is trendy and pastel toned. It includes live search, dropdown cart, cloud zoom, product quick view, blog, Olark live chat and other amazing features. It is also responsive and extremely easy to customize with the Mega Layout Builder. Make your flower store popular all around the world thanks to multilingual and multi-currency support. A fully responsive Website Slider will help you display your bouquets and other items in a very elegant manner. The theme also features the TM Mega Layout, Product Carousel, Product Badges, crossed prices, star rating, quick preview, Wishlist & Compare plugin along with many others. This template includes three pre-made homepage layouts and a flexible layout builder that will let you create beautiful layouts easily. It comes with a large number of premium plugins for absolutely free. The TM Mega Menu will let you create complex menus with links to categories, sub-categories and show off your entire inventory in just one big menu. This theme is fully responsive and Retina ready and uses the TM Mega Layout Builder with three pre-made layouts for your work. It features tons of TM Modules that in total are worth $606 but come in this bundle for absolutely free. It also uses the TM Header Account, TM Mosaic Products, TM Ajax Search, TM Mega Menu, sorting options and many other useful features. This mobile-friendly template is a great eCommerce solution for your store. It includes lots of premium modules that enable you to showcase your goods using slider, carousel and video modules. Finding necessary items will be a breeze thanks to a mega menu, filters as well as Ajax search. This MotoCMS template is a perfect choice for setting up your own online sweets store. It features a handy drag and drop page builder that lets you create new section and content elements and adjust page settings quickly and easily. It also comes with social media widgets, MailChimp, Contact Form, Embed Widget, Grid Gallery, Carousel Gallery, Video widget and many more others.